"Very professional & caring physician." "we travel from Brooklyn just to see dr Karavolias we really love her and the entire staff are so wonderful"
"Dr. K is warm caring and very knowledgeable." "Patient with child. Kind. Clear explanations." "All physician in Astoria take their time, answers all my questions and make sure my kids are taken care of before exit." "Dr. Marianna was kind enough to write down instructions for me without me requesting. A lot of times I forget what a doctor suggests so the note was very useful!" "She is very gentle and understanding to my daughter concerns. " "Dr. Marianna is great! We are happy we found this office." "Love Dr. Karavolias. So EDUCATED and good at relaying knowledge. Lucky to have found her." 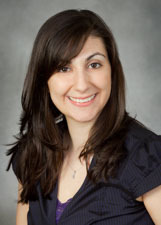 "Dr. Marianna is knowledgeable, friendly, and patient. She does not rush through visits and makes us feel at ease. All the doctors in the practice are wonderful." "Took her time with us to answer all our questions." "I am absolutely satisfied with Dr. Marianna Karavolias. She is excellent in communication and gives a lot of attention. " "She has always been a very friendly, knowledgeable, and thorough doctor. We love her." "She was was knowledgeable, friendly, and took her time with my daughter." "I - prefer seeing Dr. Marianna Karavolias only -"
"Astoria Pediatrics was my pediatrician as a child and their service continues to be so good I take my three sons!" "The provider left the room quite quickly without giving me a chance to ask questions or give further comments." "So happy with the experience with Dr. Marianna. She showed genuine care for my children." "would definetly recommend to others"
"All doctors at this office are exceptional. Dr. Marianna is no exception." "All questions answered and helpful respectful environment in general perfect." "She talks a little fast! Hard to process all the information that quickly." "Dr. Karavolias goes above & beyond. She is thorough & personable, she does not rush the appointment and provides us with the best care for my son. There are not many pediatricians like her. We are in the best hands." "Dr. Marianna is great! My kids love her!"